Social media marketing can be a powerful tool, particularly for hotels trying to reach new guests and find new ways to remain competitive in a tough market. Recently on Twitter, I had some great conversations with the guys from Urban Beach Hotel in Bournemouth, UK. This got me thinking about what this hotel are doing, and they are really getting it right. Afterall, without Twitter, how would we both be connecting? Ok, so they have a fantastic product, but reaching guests is difficult, especially in these tough market conditions. So, I had a closer look, and wanted to share with you a little about this property and what they are doing to market their hotel. It’s an interesting proposal, so coming in the next few days Hotel Insight will talk to Urban Beach directly and bring you an exclusive interview. In the mean time, here’s a loom at the Urban Beach Hotel. The Urban Beach is situated in the seaside south coast town of Bournemouth, UK. This is an award winning boutique hotel and within five minutes walking distance to the beach. The hotel features a modern bistro and boasts a menu that sources fresh and seasonal ingredients from local suppliers. “Whether you are looking for a Bournemouth hotel with a warm welcome and exceptional customer service in comfortable surroundings, or a lovely meal with a professionally prepared cocktail, then the Urban Beach is the hotel for you”. The following is taken from the Urban Beach Hotel website and really well describes the hotel experience. 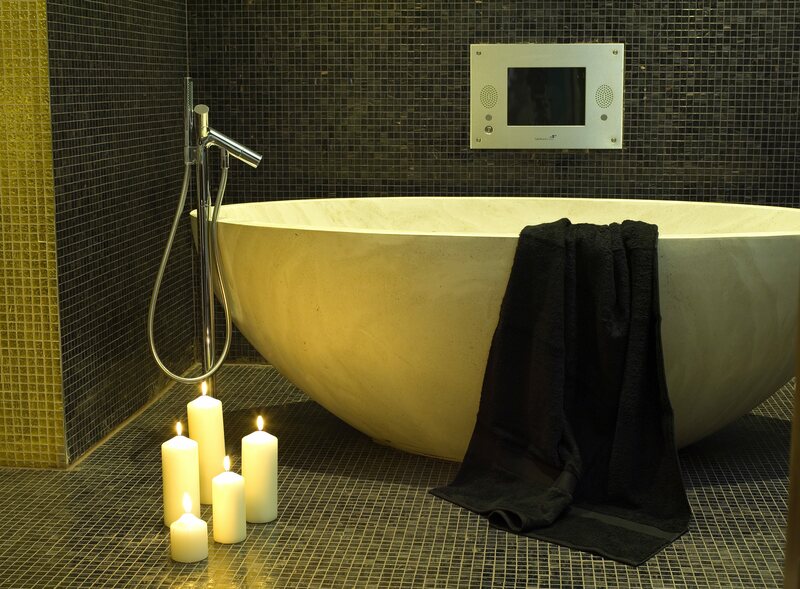 “The Urban beach goes much further than any other hotel in Dorset, not just with its award winning Bournemouth accommodation; it also provides a contemporary lifestyle that has spared no expense in creating the unique feel of ‘home away from home’ whilst adding a touch of modern luxury within its ambience. 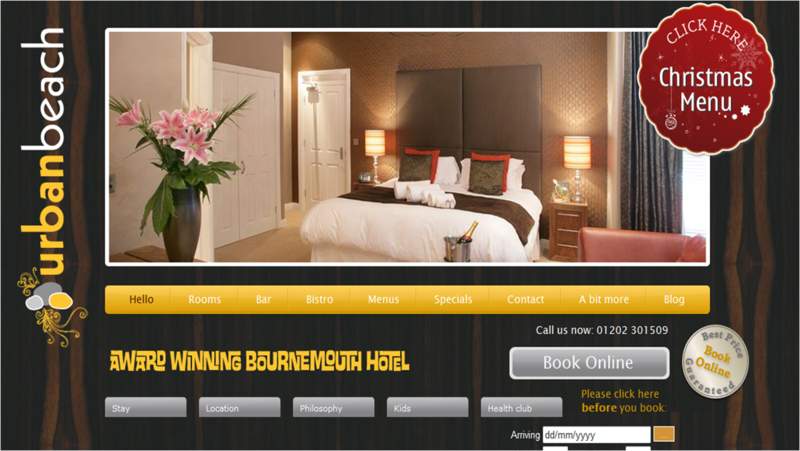 The hotel recently won the awards ‘Best Small Hotel and Best Bar’ at the 2008 Bournemouth Tourism Awards for 2008″. So that’s a little on the hotel itself, but what really made me look in more detail at this business is the simple ways we could make contact. We chose Twitter, and they actually picked up on something I was tweeting about free wi-fi (surprise surprise I hear you say!). On that note, they offer free wi-fi! But it’s not just a Twitter presence – they write their own blog published on the website, and let me tell you, it’s worth reading. They have captured the key to writing a blog about their hotel. don’t rave about how wonderful their bedrooms are and how amazing the hotel is: choose a subject, relate it to the hotel by all means, but don’t over to the PR. Urban beach also have a “meet the team” section, Facebook Page and the ability to book online. I found the whole website experience, use of social media and the property itself truly professional and of such good quality. Check out their website for yourself, and Hotel Insight will bring you our interview soon. TripAdvisor have announced their integration with Facebook – meaning that you can share your travel and hotel experiences with your network of Facebook friends directly through TripAdvisor. This integration, using Facebook Open Graph, also means that if you are trying to find reviews for a city or hotel, you will have the opportunity to see if any of your friends network has been there and ask them directly for opinions and advice. This is a concept that has been floated around for a long time and more and more networks will start to integrate one another to ease access to content and social media platforms. This has the power to open up so much content to users. TripAdvisor get over 34 million monthly hits, and when you consider this volume against the number of people who have Facebook accounts, this technology really could open doors. The next ‘Hotel Review‘ post is on the Best Western Forest Lodge, in the New Forest town of Lyndhurst. I was keen to stay at a Best Western property given the large amount of advertising the chain have been conducting, revolving around their “hotels with personality” strap-line. 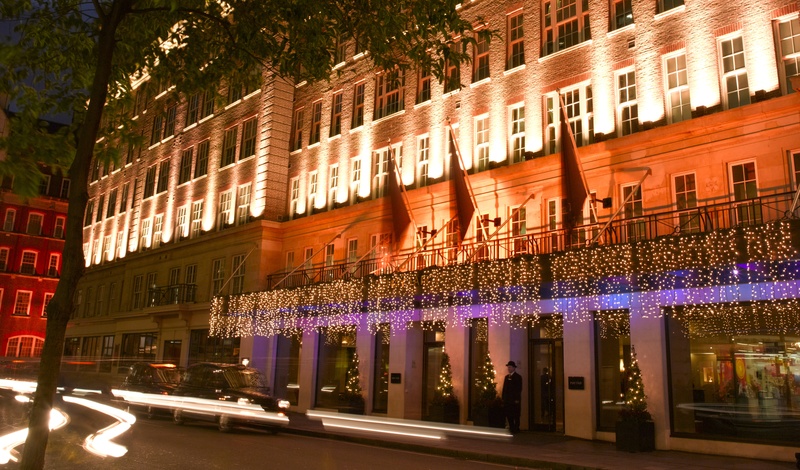 Best Western have almost re-launched themselves into the UK hotel market in recent months. Check out their website where you can follow them on Twitter and Facebook and watch their TV add. Times have moved on for the chain. Overall, I was pleasantly surprised by this three star property. There were obvious improvements and extras at the hotel to try to stand out from its many competitors in and around Lyndhurst – such as free wi-fi (those regular readers of the blog know how much I love free wi-fi! ), indoor swimming pool and sauna, all of which did actually make the property fit the “hotels with personality motto”. This hotel has aged over the years and was refurbished in 2007 whilst still retaining its Georgian features. The bedrooms have been transformed into modern and tasteful rooms with four-poster style beds. Check out the video to see more. Rooms come with everything you expect, plus a few extras that are nice to haves. Tea and coffee-making facilities, iron and ironing board, fan and flat screen television. Notable exclusions, and some reasons why the hotel can only be graded as three star include no safety deposit box in rooms (there is one in reception), no fridge/mini-bar and most obvious during my stay, no air conditioning in the bedrooms! Breakfast was included in my rooms rate (just as well as they were charging just over £11 for a small cooked breakfast) but was freshly cooked to order and the dinning area was nicely decorated with chandeliers. The only down side to our dining experience – filthy high chairs that had clearly never been washed since they had been bought! This hotel is in a good location for a stay in the New Forest. Lyndhurst itself is worth a short walk, but nothing more. The Best Western Forest Lodge is a good base for a stay and good value for money. One final point to all hoteliers – if your going to do a great thing and provide free wi-fi in all public areas and bedrooms, make sure it’s of a decent standard. Not only was this service down for a whole day after an apparent power-cut, when normal service did resume the speed of the internet was appalling – hoteliers, take note!